Solar Plane Crossing the Atlantic! - UPDATED! UPDATE - 6/23/2016 - SI 2 has arrived safely in Seville, Spain, and did so in just 71 hours, 8 minutes (of the planned 90-hour duration). Read more on the SI2 blog page. Solar Impulse 2- that amazing solar-only powered aircraft - is in the air again, this time undertaking a predicted 90-hour flight from New York City’s JFK airport to Seville airport in Spain! UPDATE - Due to looming weather concerns, the Solar Impulse team decided to divert to Nagoya, Japan to await better weather. Disappointed but undaunted, pilot Andre Borschberg landed successfully in Nagoya this morning after flying for 44 hours and more than 2,000 miles, roughly one-third of the intended distance to Hawaii. Now the team will study the weather to determine the optimal time to resume their mission to fly around the world, powered only by the sun! Solar Impulse 2 - the entirely solar-powered airplane that is attempting to fly around the world - just took off on the most audacious leg of its amazingly audacious mission: to fly non-stop from Nanjing China to Hawaii. This is a non-trivial flight in a conventional jetliner, one from which many passengers will disembark complaining of cramped quarters and a lack of sleep. But the pilot of SI2, Andre Borschberg, will need to stay awake (mostly) for six days in a cabin slightly smaller than Dr. Who’s TARDIS Police Box! 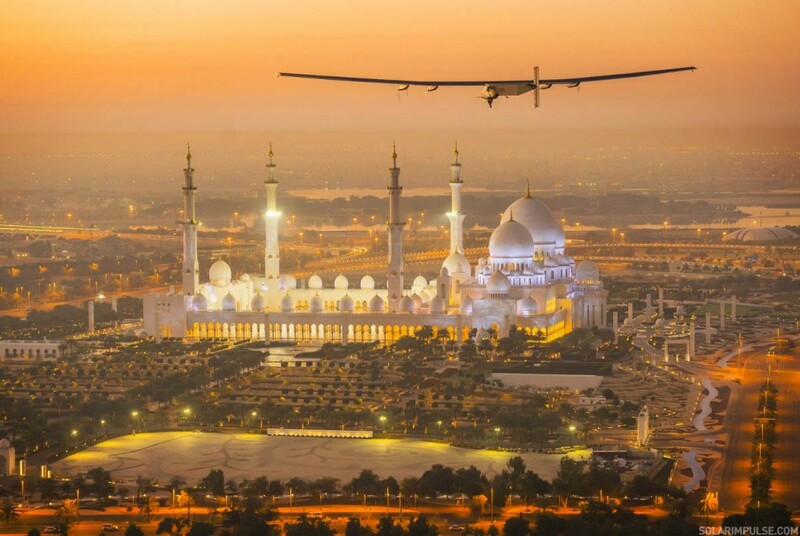 We have written about the Solar Impulse project before, with a mixture of awe and envy. This particular flight, however, is all awe. We are in awe of the raw human fortitude required to succeed at this attempt, and we are in awe of the courage that this pilot is displaying. Of course, he is far from alone in this undertaking, supported by a mission control center and an extensive ground support crew. But at the end of the day, he is in that cockpit alone, and the success of the flight will come down to his skill and determination. Each day the plane greets the sunrise by a climb to altitude (flight level 280, or 28,000′), allowing the solar cells (17,000 of them) to fully recharge the plane’s batteries. During the night, the plane descends, flying on stored solar power. As morning comes around, the plane and pilot reach a critical moment - can they get to a point of energy production that will sustain them through another cycle? If they have encountered too many clouds, there will not be enough energy to sustain the mission and the pilot faces the very real possibility of ditching the plane in the middle of the Pacific Ocean! Wow! Rest for the weary pilot comes in 20 minute breaks, ended by a gentle alarm if all is well, or a more insistent alert if something has gone awry. To maintain physical and mental health, the pilot practices both yoga and self-hypnosis, as well as a limited set of exercises that can be performed within the cabin’s confines. You can learn more about the background of this mission, and even monitor how solar energy is powering the flight at the Solar Impulse website. We will update this post as the flight progresses, and the video embedded here will provide live streaming of the flight so be sure to check back often during the week ahead. Solar Impulse arrived in the Nation’s capital at fifteen minutes past midnight this morning, landing without incident on runway 19L at Dulles International Airport, thereby completing its transcontinental journey that began in San Francisco on May 3 with stops in Phoenix, Dallas, St. Louis, and Cincinnati. The historic mission will conclude next month with a flight to New York City. The flight was not without its drama, however. Starting with an unexpected drenching of the aircraft in Cincinnati due to heavy overnight fog that delayed the takeoff for several hours while the craft was painstakingly dried out to reduce weight and prevent issues with controls freezing up at altitude. The flight was obliged to undergo multiple delays en route, with a particularly frustrating holding pattern before getting clearance to land at Dulles. If you are lucky enough to be in the Washington, D.C. area today, you can see the plane during an Open House from 1 to 5 p.m. You can get directions here.